Around the world, Midsummer or Solstice has been celebrated since the 12th century. As one of the most traditional pagan rituals, Midsummer celebrates the longest day in the Northern Hemisphere. More than anywhere, the celebration is a huge part of society in the Nordic states where the short, dark days of winter are forgotten and replaced with the warm light-filled days and the fruits and harvests of summer. In Sweden, Midsummer is a core tradition. And across the globe, Swedes celebrate outside while making friends, wearing white, making flower crowns, and playing games. This year,Absolut Vodka, The Swedish Consulate, The Swedish Chamber and over 14 other Swedish Companies have teamed up so that Hong Kong can take part in the festivities, and enjoy live Swedish folk music, drinking and socializing while dancing around a 3.5-metre high flower covered Maypole on June 8 (15.00-22.00) in the PMQ courtyard. The festival, a combination of music, food, and mindfulness, will also celebrate sustainability. 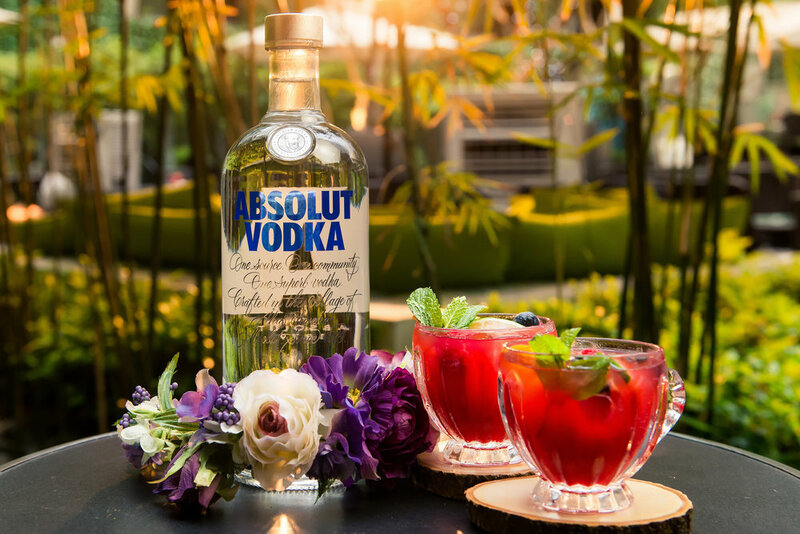 To support this mission, Absolut is hosting a sustainable bar featuring closed loop cocktails that do not waste any ingredients. The cocktails are mixed by Tunny Grattidge, Bar Manager from The Pawn Botanical Bar, and include: a White Negroni (HK$100) made of Absolut Vodka, Magen Bitters, and Gran Classico; a Pineapple Skin Negroni (HK$100), featuring pineapple infused Absolut Vodka, Espressocello, and Soda; and an Elderflower Collins (HK$100) with Absolut Vodka, Elderflower Cordial, Lemon Juice, Soda, and a Lime Garnish. Post festival, White Negroni and Pineapple Skin Negroni will be part of The Pawn’s special Negroni Week Menu (HK$120). Also to continue the fun of Midsummer, special cocktails will be available from Vibes at The Mira and Red Sugar at Kerry Hotel. Vibes will kick-off their own Midsummer festivities with a 9 June party featuring Flower Crowns, a Maypole and DJs and a series of celebratory cocktails including: an Absolut Punch Bowl (HK$398 + 10%) with Raspberry Absolut, Frangelico, Raspberry Puree, Lemon and Prossecco; Absolut Tonic Lemon (HK$128 + 10%) with Absolut Raspberry and Lemon Tonic; A.B.S. (HK$128 + 10%) with Absolut Vodka, Aperol, Lemon Juice, and Grapefruit Bitters; Absolut Gunner (HK$128 + 10%) featuring Absolut Vodka, St. Germain Liquor, Graperuit Bitter Truth, Fever Tree Ginger Ale, and Ginger Beer; and the Tropical Wind (HK$128 + 10%) with Absolut Mango, Passionfruit and Mango Puree, Passion Fruit Liquer, and Double Cream. Through July, Red Sugar at The Kerry Hotel is offering: Midsummer Passion (HK$98+ 10%), with Absolut, Midori, and Passionfruit; Calamansi Fizz (HK$98+ 10%) with Cinnamon infused Absolut, Honey, Ginger, Calamansi and Soda; a 24-7 (HK$98+ 10%), featuring Absolut, Frangelico, Vanilla, Chocolate Bitters, and Drambuie; and an Elderflower Cider (HK$98+ 10%), with Absolut and Elderflower topped up with cider. Absolut has a long-term vision to create one sustainable circular source and continues to work with the ambition that there is no waste, only by-products that can be innovatively reused. This mission will be celebrated through these cocktails and the Midsummer Festival at PMQ on 8 June.